After using SendinBlue for three years, we’re pretty confident that we know what it does well and where it could improve. So, if you’re in the market for a piece of email marketing software, this is the review for you. When we wrote our original guide on the best transactional email tools back in 2014, we weren’t aware of SendinBlue. After receiving numerous recommendations in the comments and in our inbox, we decided to test it out on what was our latest venture at the time – Leadformly. In this review, we’re not only going to look at the platform’s key features, but also help you understand how well SendinBlue meets your email marketing needs. As you can see, SendinBlue offers a free package that allows you to send up to 300 emails per day for an unlimited number of contacts and you can remove this daily limit for as little as £5/month. If you’ve been looking at other email marketing platforms already, you’ll know this puts SendinBlue at the most affordable end of the spectrum and you’ll be happy to hear its pricing is far more transparent than many other providers. 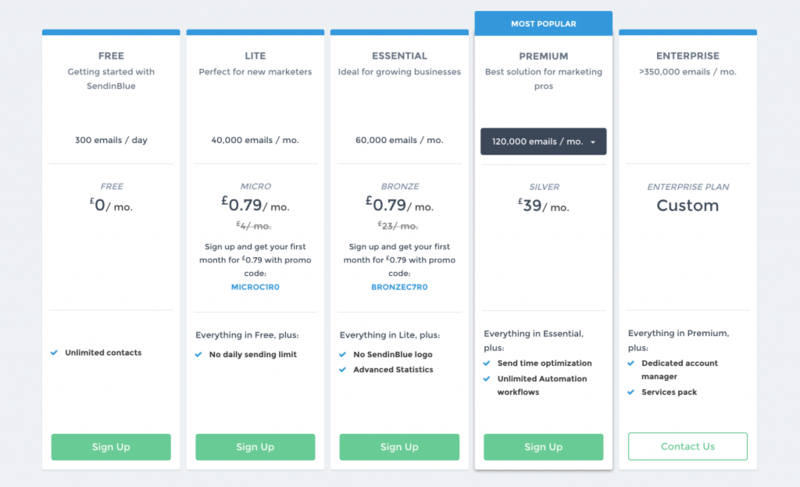 While plenty of email marketing platforms offer cheap starting packages, they tend to get more expensive as you scale up. SendinBlue is one of the few providers that’s consistently priced as your business scales and we’d love to see more companies take a similar approach – even if their starting prices were slightly higher. While the free version of SendinBlue is the only package with a daily sending limit, the Lite version also includes a SendinBlue logo in your emails. To remove this, you’ll need to pay up for the Essential package at £23/mo or higher. It’s also worth noting there are two versions of the premium package: one for 120,000 emails per month (£39/mo) and another for 350,000 per month (£102/mo). If you’re sending more than 350,000 emails per month, SendinBlue provides you with a free dedicated IP address for everything you send using the platform. In terms of contact management, there are no limitations regardless of which version you sign up for. 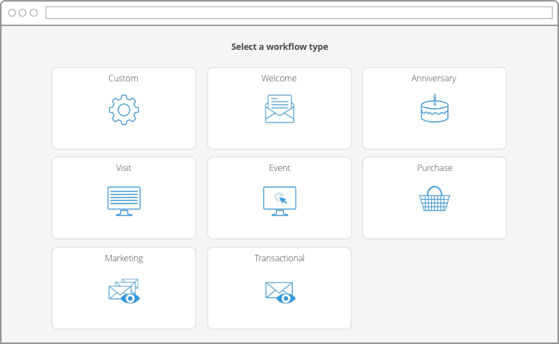 SendinBlue has also expanded into marketing automation over the past few years and you get unlimited automation workflows for up to 2,000 contacts using the Free, Lite and Essential version of the platform. On the Premium and Enterprise versions, you get unlimited workflows for all of your contacts – no matter how many you have. While you do get real-time reporting on the Free and Lite versions of SendinBlue, this doesn’t include location or device reports, heatmaps or open and click stats. The full suite of reports are available across the Essential, Premium and Enterprise versions of the platform. The only limitation on support and integrations is that Enterprise customers get a dedicated account manager, as you would expect. Every SendinBlue gets full access to the API and plugins, documentation and the company’s excellent customer support team. Check out other reviews for SendinBlue and you’ll see existing customers constantly praise its support team. 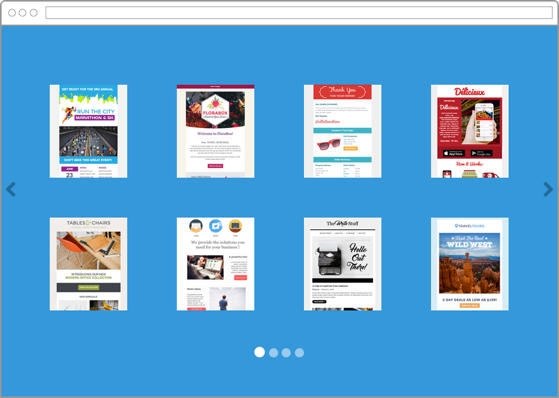 With SendinBlue, you get 200+ responsive email templates tow with with, allowing you to quickly create campaigns, customise your content and get them sent out. 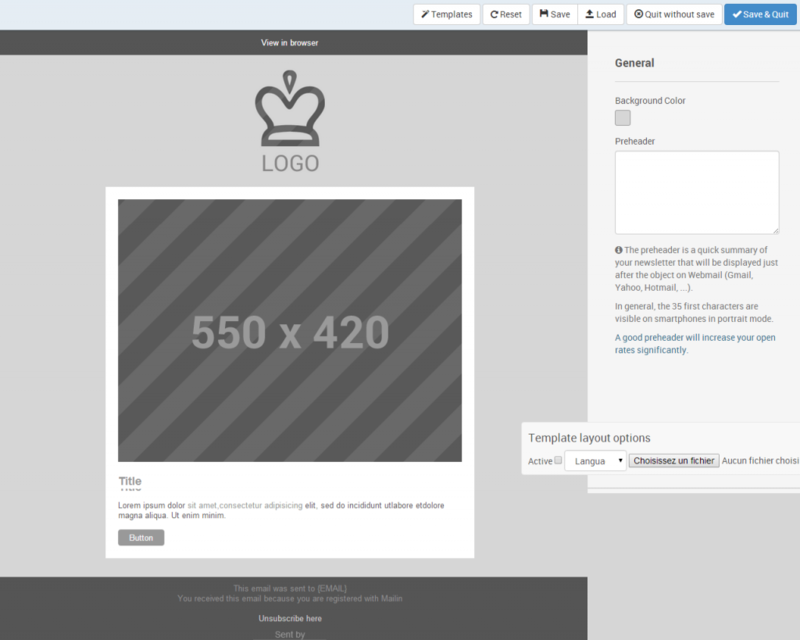 However, you also get a drag-and-drop email designer so you can create your own custom designs from scratch. You can upload and customise templates or create your own layouts by dragging elements like headers, text boxes and logos from the menu. It’s a quick and easy tool to get to grips with and you’ll be building custom email designs in no time – without writing a single line of code. In truth, SendinBlue’s email designer isn’t quite as good as MailChimp‘s email builder (which is still the best on the market) but it’s no slouch. SendinBlue’s contact management features are available on every version of the platform and this is a major plus for email marketers at every level. You can search, segment, categorise and create lists that update automatically based on your chosen criteria. This is crucial for an effective email marketing strategy and SendinBlue offers a lot more in this regard than many of its more expensive alternatives. Combined with its automation features, which are also available to all users (although limited to a certain number of contacts on some packages), SendinBlue’s contact management means you can target people on your email lists with personalised messages as their consumer needs change. This is precisely what you want to be doing in email marketing. If SendinBlue is your only email marketing platform (we also use ActiveCampaign) then it’s worth investing in these additional reporting tools. 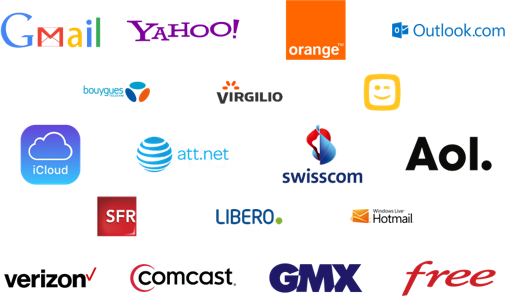 The heatmaps will give you a better idea of how effective your email designs are proving to be and the open and click reports tell you how compelling your email headlines and content are. Unlike MailChimp, SendinBlue offers email automation features across all versions of its platform. The only thing is Free, Lite and Essential users are limited to using these automation features on a maximum of 2,000 contacts. Whether this is a problem for you depends entirely on how many people you have on your email lists. SendinBlue’s automation features are a lot more extensive than MailChimp’s too, allowing you to send a range of response email to various different actions and events. You can also create custom automation using automation builder. For example, you can send an email to first-time buyers with a coupon to encourage a second purchase while adding repeat buyers to another email marketing list to target them with loyalty messages. SendinBlue has worked hard on automation over the past few years and it’s a decent marketing automation tool in its own regard at this stage. Without these features it would be difficult to recommend SendinBlue as a standalone email solution but we’re confident this platform now offers enough for many businesses (I’ll explain this in more detail at the end of the review). 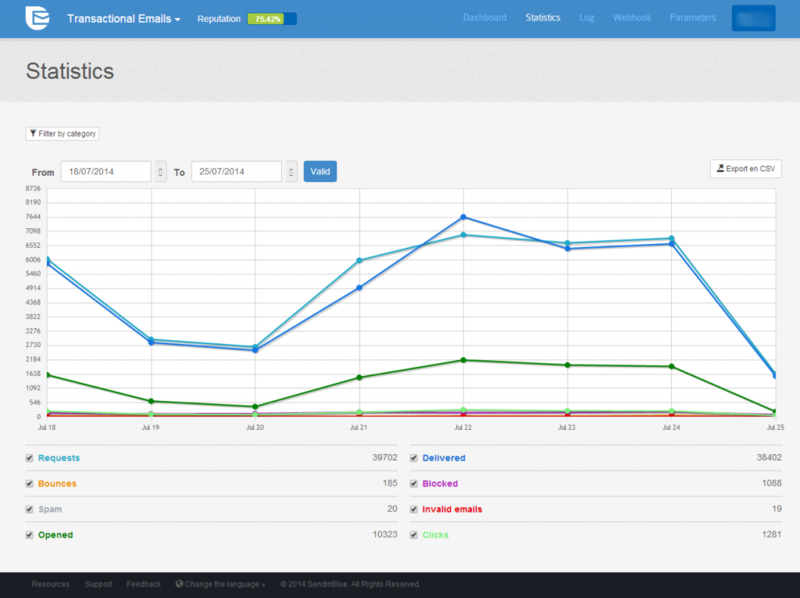 This is the feature that makes SendinBlue a key part of our email marketing strategy. While we rely on ActiveCampaign for automation and contact management, SendinBlue’s transactional email features are incredible. This is important if you need to send order confirmations, payment receipts, password resets and other transactional emails that keep your customers involved with your brand. This is one area a lot of email marketers (and email marketing platforms) overlook. Thankfully, SendinBlue takes this part of the customer journey very seriously and it offers dedicated transactional email templates, delivery features and reports for this specifically. This means we’re able to automate transactional emails for a wide range of customer actions (purchases, receipts, subscriptions, signups, sign in detail losses, unsubscriptions and a whole lot more). We also get reports to tell us how many of these are landing in people’s inboxes (not their junk folder), how often they’re being opened and when people have given us an invalid email address. For us, this is the feature that sets SendinBlue apart from other email marketing platforms and this is precisely why we’ve been using it happily for the past three years. There’s nothing worse than investing the time and resources to build an email list, create your campaign and then realise only 50% of people are actually receiving your emails. Making sure your emails end up in recipients’ inbox – not their spam folder – is a challenge every email marketer faces. SendinBlue is well aware of this and its platform is optimised to help you get the highest possible delivery rates. To help you maximise deliverability, SendinBlue comes with a number of built-in features. First of all, email addresses that trigger a hard bounce are automatically blacklisted to prevent you from sending further emails to them. You can also sort your contacts based on whether or not they have opened your email within the past 6-12 months and target them with a campaign to re-engage or remove them from campaigns. SendinBlue’s shared and dedicated IP addresses are a big help with this too. Enterprise users get a free dedicated IP as part of the package but you can always buy one separately, regardless of which SendinBlue version you’re using. There are plenty of other features working under the hood to help you maximise deliverability, many of which are automated for you. SendinBlue also provides a lot of documentation and best practices on deliverability and other topics to help you get the best results from email marketing. There are two key things that have kept us using SendinBlue for the past three years: transactional emails and deliverability. Of all the email marketing platforms we’ve used, SendinBlue is noticeably ahead of the competition with these two feature sets and you definitely want these in your email marketing strategy. So why don’t we use SendinBlue as our only email platform? Well, a key reason is that SendinBlue didn’t have the automation features we needed when we first looked at it. We also wanted more on the CRM side of things and this is where ActiveCampaign really proves its worth as an enterprise email, CRM and marketing automation suite. SendinBlue has made a lot of progress over the past few years though and it’s a much more convincing email marketing platform with the automation features it’s developed over this time. For a lot of brands, SendinBlue is going to be enough and, at this price point, you won’t find a much better deal elsewhere. As far as we’re concerned, SendinBlue blows MailChimp out of the water as an email platform, except for the fact >MailChimp has one of the best email builders we’ve used. Good designers will create great emails on either platform, though, while the email and automation features on SendinBlue will take you much further. If you’re a small or medium size enterprise, you definitely want to give SendinBlue a try – you probably won’t find a better email marketing tool at this price point. For enterprise brands or businesses that need more extensive CRM and automation features, SendinBlue might not quite offer enough (as was the case for us) but we’re still using this tool for its excellent transactional emails and deliverability features.